With the release of Bahubali's sequel, there are a lot of instances that proved the film has taken the world by storm. #1 The leading online ticket booking website crashed a day prior to the release as it experienced heavy traffic due to a huge amount of people flocked to the website to pre-book the movie tickets. #2 The tickets of the film were being sold in black for almost Rs 10000 in Andhra Pradesh! Now that's what we call 'craze'! #3 The craze did not leave any stone unturned. Here's proof! 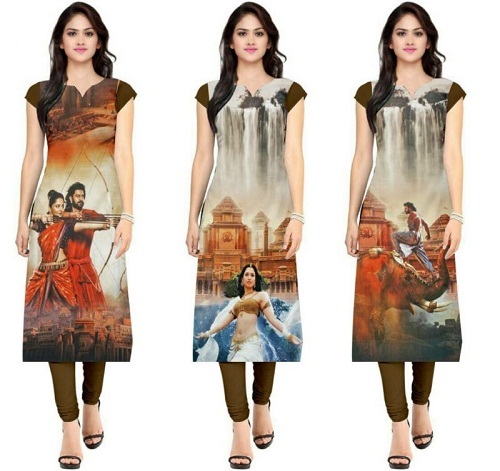 These digital print kurtis. You can buy them here. 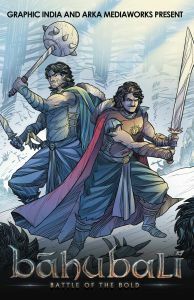 Bahubali- Battle of the Bold - It reveals an untold story when Baahubali and Bhallaladeva take part in an epic and deadly tournament of champions, competing against fearsome warriors from around the world. 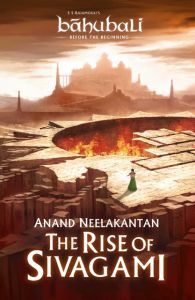 The Rise of Sivagami Bahubali - It is a riveting tale of intrigue and power, revenge, and betrayal, The Rise of Sivagami is a befitting prequel to S. S. Rajamouli's blockbuster film Bāhubali. #5 There was a 1 km. queue outside a theater to purchase the tickets for the movie.